The vitamin B12 family is generally referred to as the cobalamins, with cyanocobalamin as the most common form. Recent research has indicated that methylcobalamin provides an enhanced ability to support neurological function. Methylcobalamin helps maintain healthy glutamate activity in the brain, providing support for healthy brain cell activity. Methylcobalamin may also promote protein synthesis for healthy nerve cell maintenance. 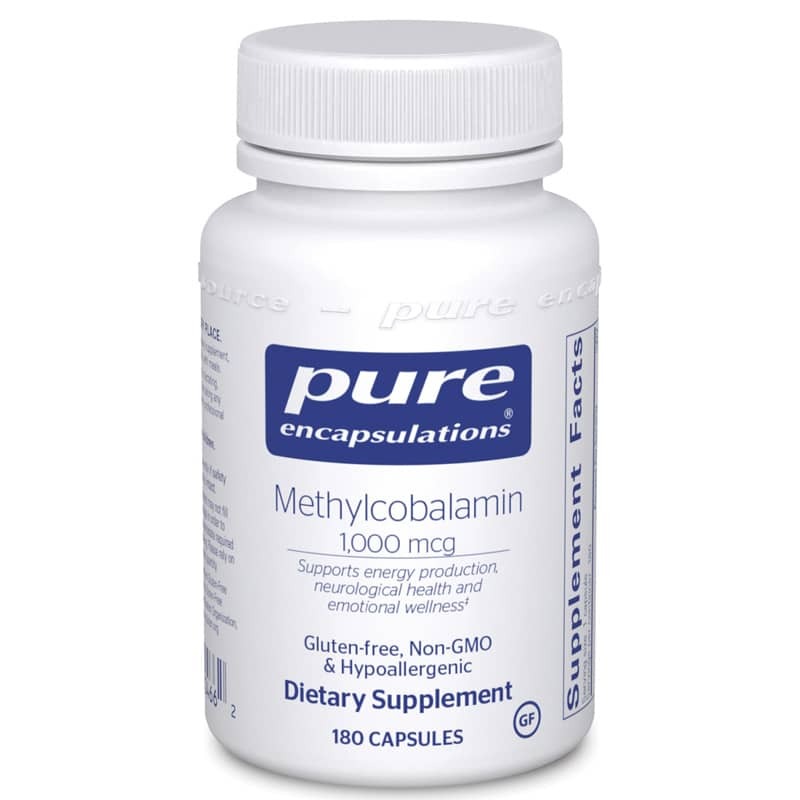 As a result, methylcobalamin has been shown to encourage healthy cognitive, memory, emotional, and nerve function. Adults: As a dietary supplement, take 1 to 3 capsules daily, in divided doses, with meals or as recommended by a healthcare professional. I take this with adrenal support and it works great!